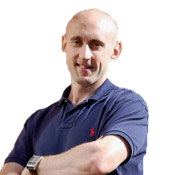 Steve began his career in 1999 after graduating with a degree in Sports Science. Initially working out of a gym, Steve helped people lose weight and improve their fitness through personal training. He quickly found that many gym goers suffer from niggling injuries that hampered their progress. A keen interest in helping people overcome their pain and injury led Steve to study physiotherapy.